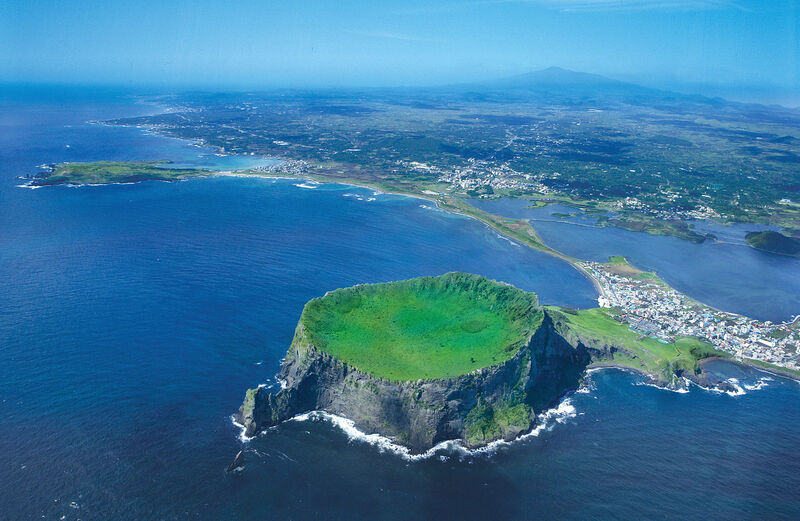 What could be the attraction that represents the Island of Jeju the most? 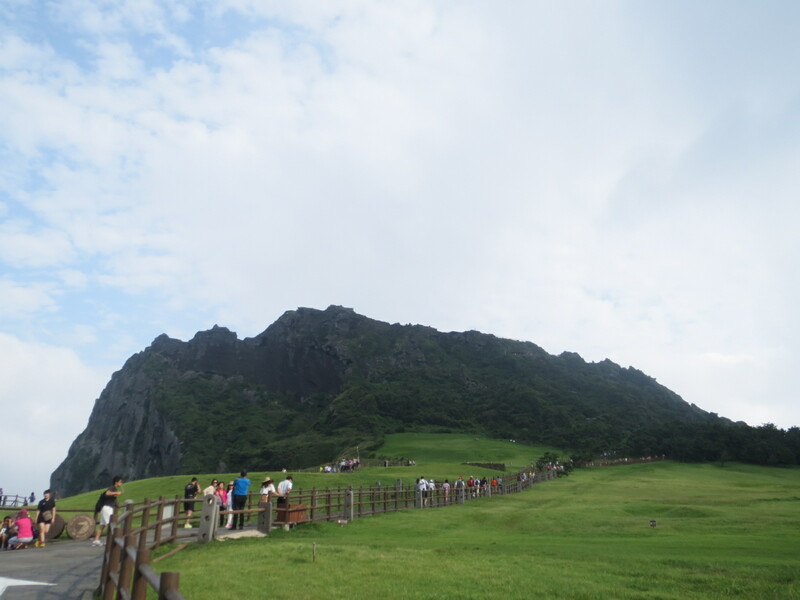 Most would agree that it is Seongsan Ilchulbong, for its uniqueness and beauty. 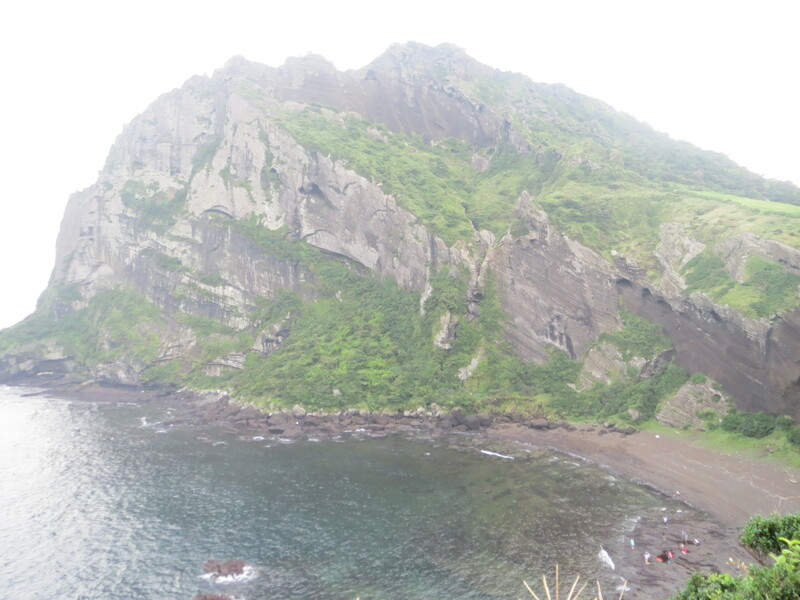 Rose from the ocean by the volcanic eruption over 100,000 years ago, it still has the huge crater formed back then. 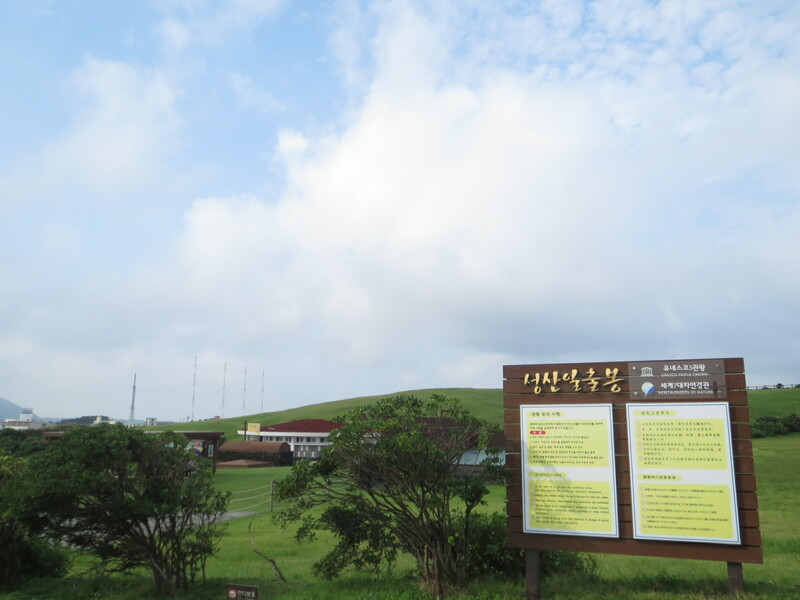 Ilchulbong (日出峰-일출봉) has the meaning of ‘a peak where the sun rises’, and the sunrise seen from the crater early in the morning surely is splendid. 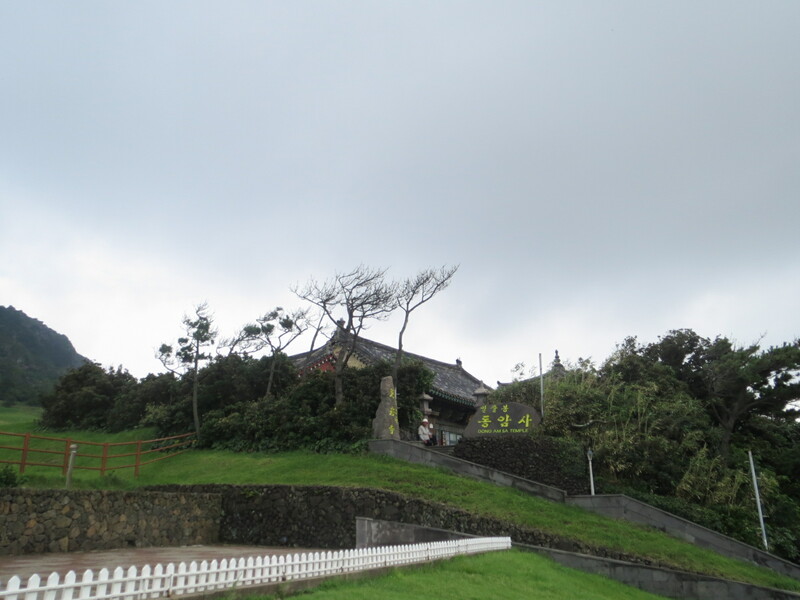 Even without the sunrise, Seongsan Ilchulbong-UNESCO Heritage Site-is still an attractive place to visit for its richness of rare plants and magnificent scenery. 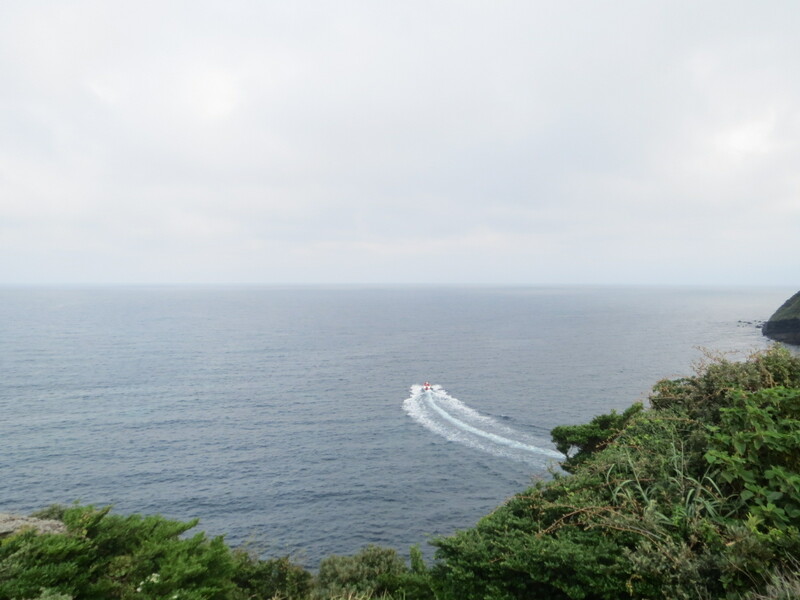 Tourists, especially Chinese, are visiting the island in great number so it is very likely that you would meet Chinese tourists wherever you go. When you make eye contact with the Asian, you might wanna say Nihao instead of Annyonghaseyo. Guidepost showing you the way to ‘Women Diver Performance’ ‘Boating’ and ‘Horse-riding’. 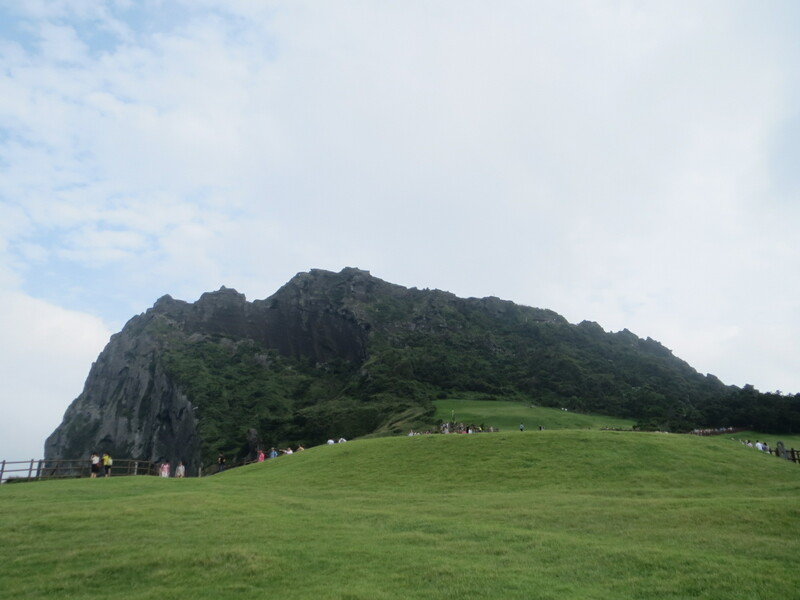 Since I had to come back home early this day, I didn’t have time to reach the peak. 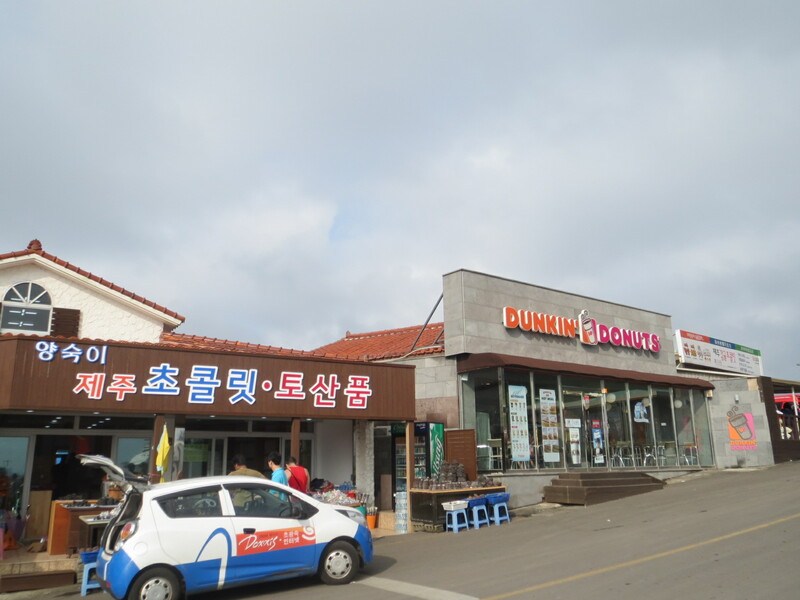 therfore I put the representative photo of the Seongsan Ilchulbong. 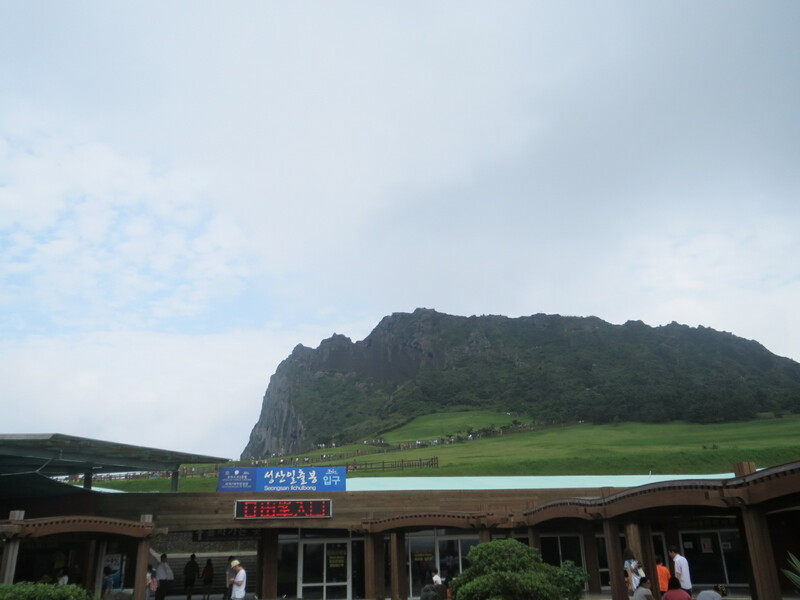 As Seongsan Ilchulbong is a place where everyone goes, one might think that this place would always be too crowded and can be disappointing. 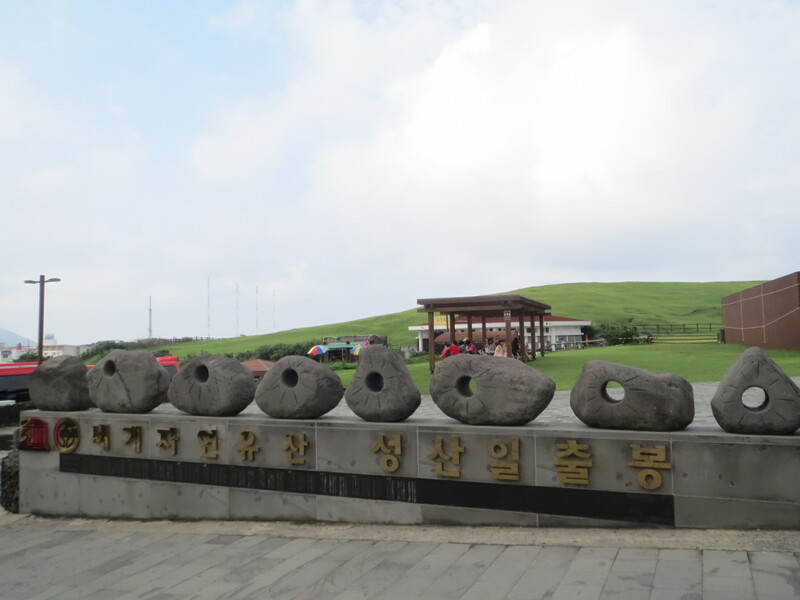 However, despite many tourists, Seongsan Ilchulbong still retains its charm thanks to the conservation effort made by the local government. 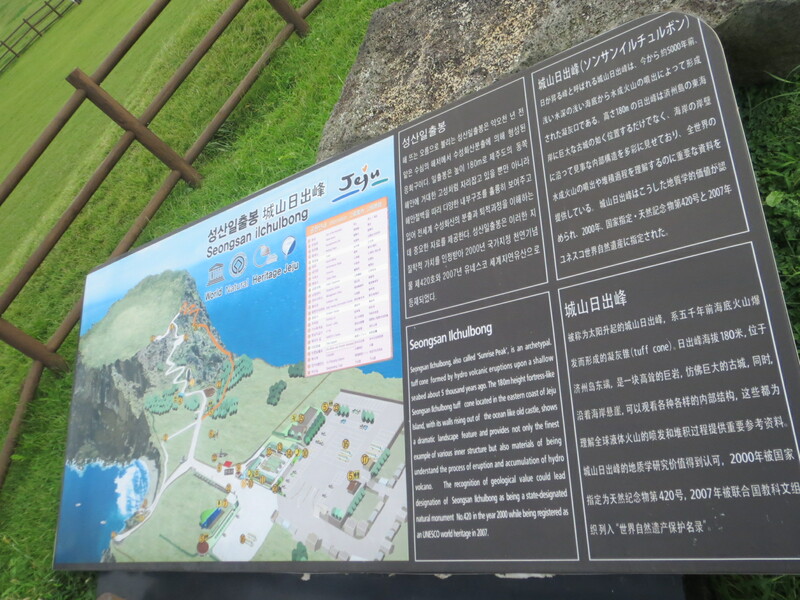 Don’t have the detailed plan for how to travel Jeju Island? 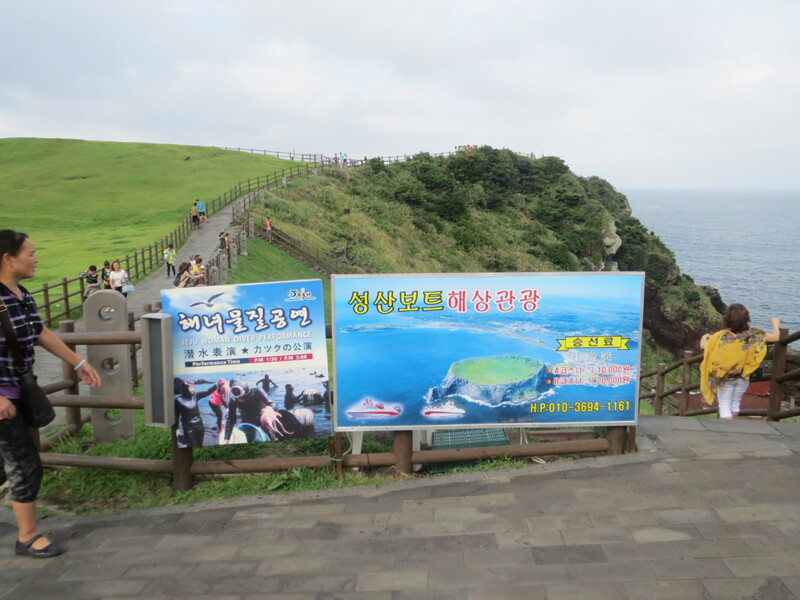 Then come visit Seongsan Ilchulbong and watch it, and think about your next journey afterwards. Previous PostBijarim Forest Visited, with Artist Fan.G. thanks for your reply 😉 I plan to climb the Ilchulbong and see the peak someday! It really is amazing 🙂 thx! 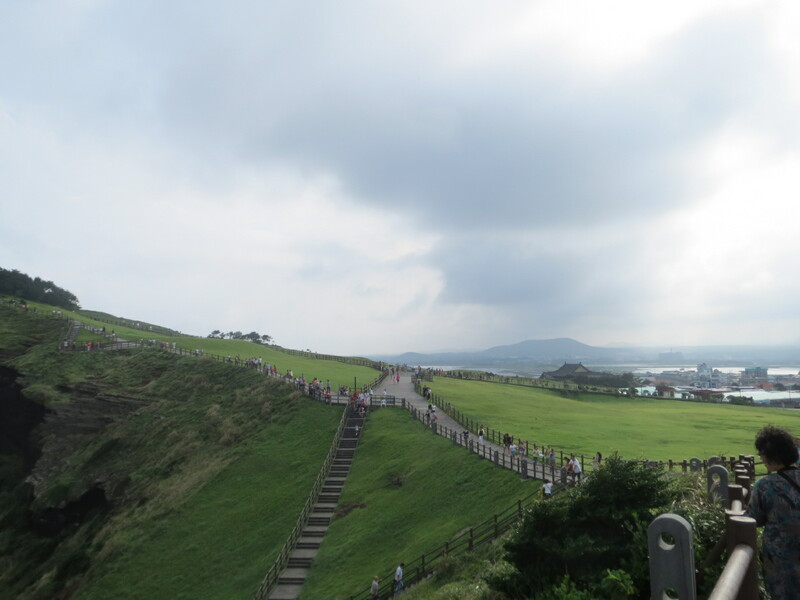 I’m planning my trip to Jeju on April with 5 friends. and watching sunrise at Seongsan is on our list. Checked the sunrise time will be around 05.50-ish a.m. 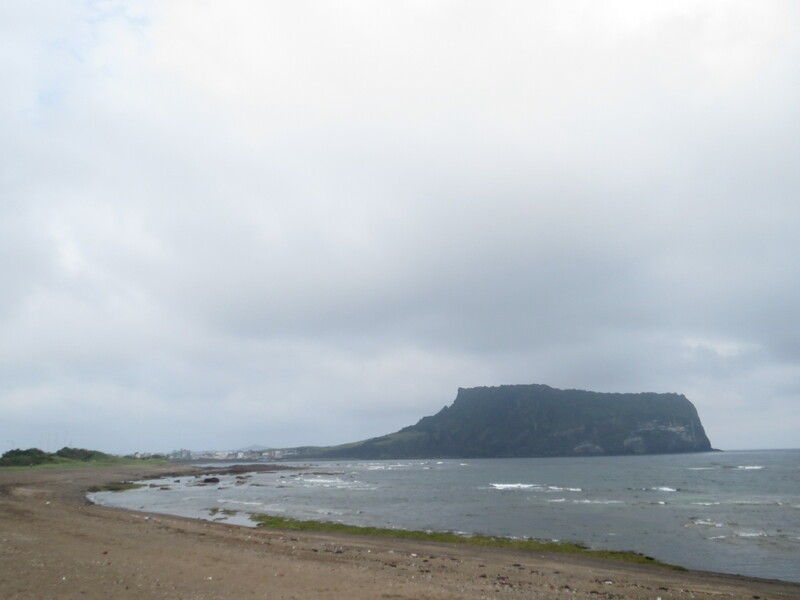 If we stay either around Jeju Terminal or Cityhall, what time should we start our trip? and what kind of transportation available around that time? we don’t have international driver license. Hello zulfi, I suggest two options. 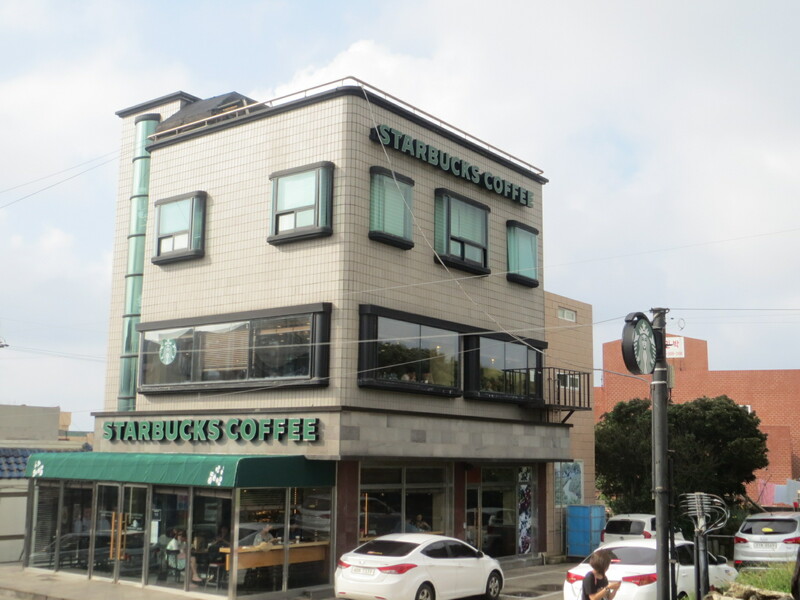 Stay near the JT or Cityhall and take a taxi around 4:50, or stay near Seongsan area. Buses would not operate that much early. Call 1899-4314 and make sure if they can send you the taxis at that time. Ask for the taxi fare also. 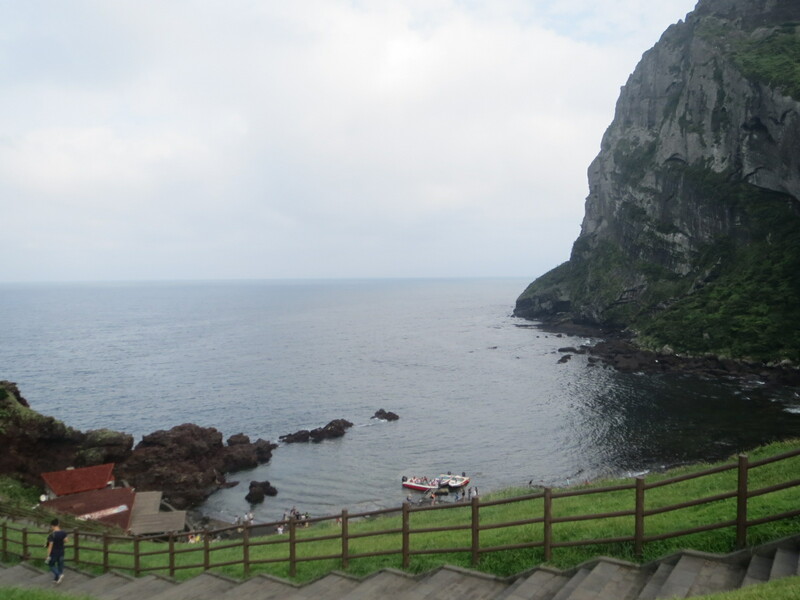 Have a great time in Jeju! thank you for your info. 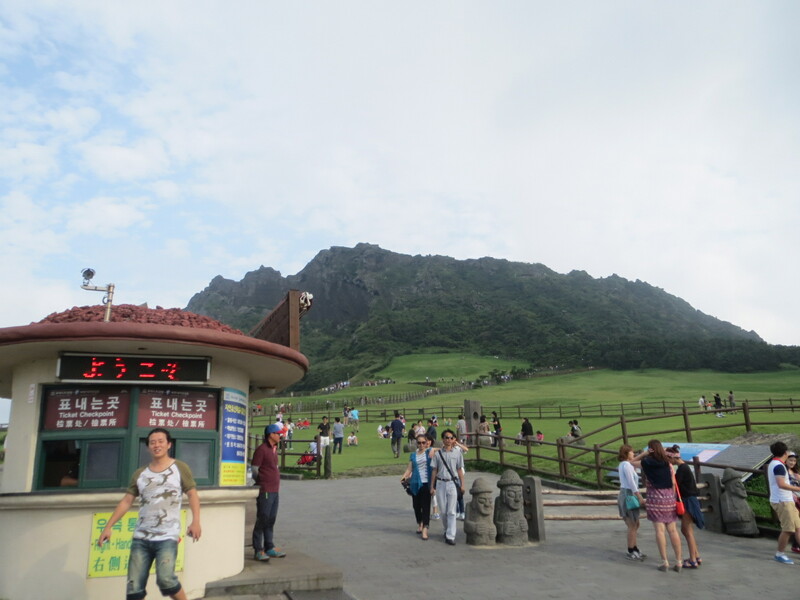 do you happen to know how much it cost to book a taxi to Seongsan? We finally decided to book a taxi for one day tour. 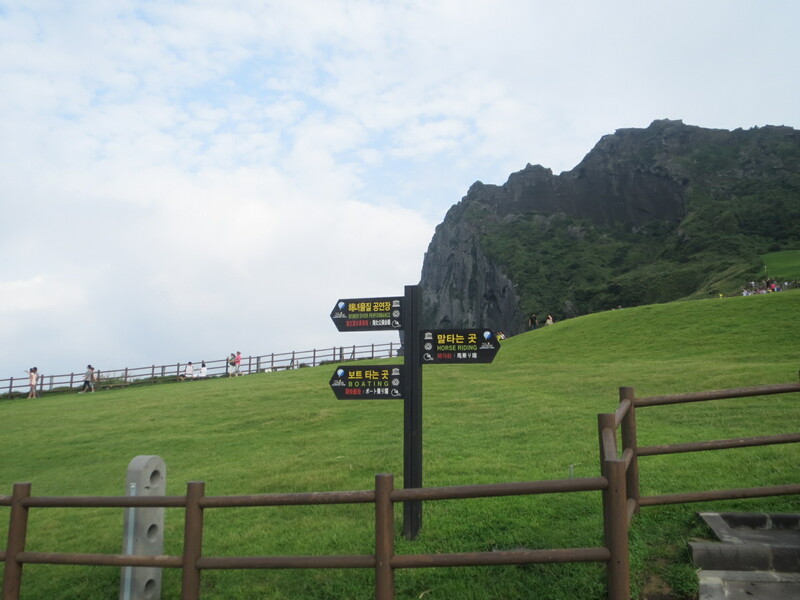 the course starting from watching sunrise at Seongsan, Seopjikaji, Soengeup folk village, Joengbang waterfall, Cheonjeyon waterfall, and jusangjeolli cliff. I know it’s a lot haha. Hopefully, we could visit them all. Haven’t deal yet, but we aim for less than 200k won. 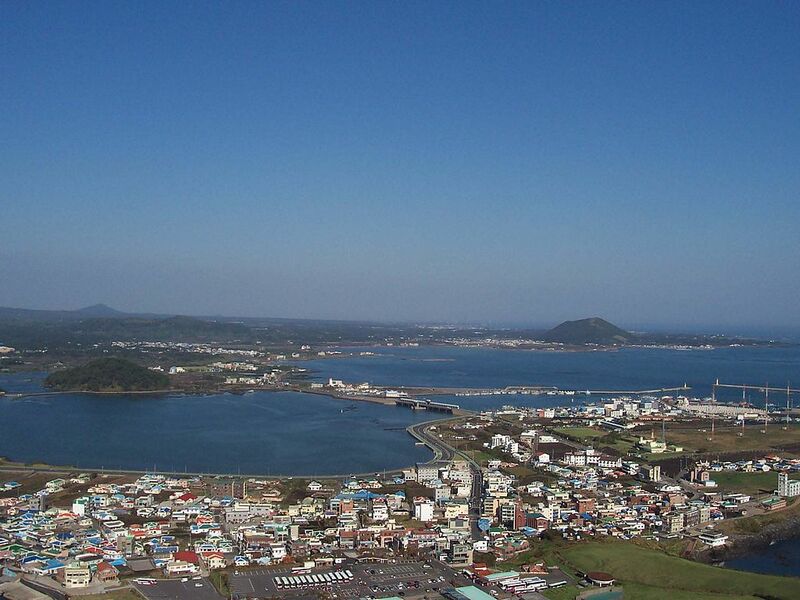 visiting Jeju in end Apr and planning to watch the sunrise and climb Seongsan. How far is the car drive from western end (am staying near Sanbangsan) to Seongsan ? is there a particular location to watch the sunrise ? thanks ! be subscribing to your feeds or even I success you get entry to persistently rapidly. If time is money you’ve made me a wehitaler woman.